Since the introduction of inflight WiFi on airplanes, the fees on that have been sky-high (pun intended!) and are paid per device. So – people have been looking for ways to share inflight wifi Internet between their devices to save money. Depending on the length of the Internet session, you pay anywhere from $7 to around $30 per flight per device accessing the Internet via the inflight WiFi. Naturally, if you want to work on your laptop and also use the Internet on your phone, you’ll have to pay twice that amount. If traveling with your family – add more to that. Read below to see how easy it is to share inflight wifi Internet with all your devices. A free working solution, that is! As mentioned above, inflight wifi fees are very expensive and are paid per device. This is largely due to the fact that the bandwidth of the satellite Internet connection that each airplane has will be divided between all the Internet users in that plane. So, the more users of Internet, the lower the bandwidth and, naturally, the worse the service. Mobile phone hotspots – they share a 4G / LTE Internet connection over WiFi. Not applicable with inflight wifi due to the nature of the connection. 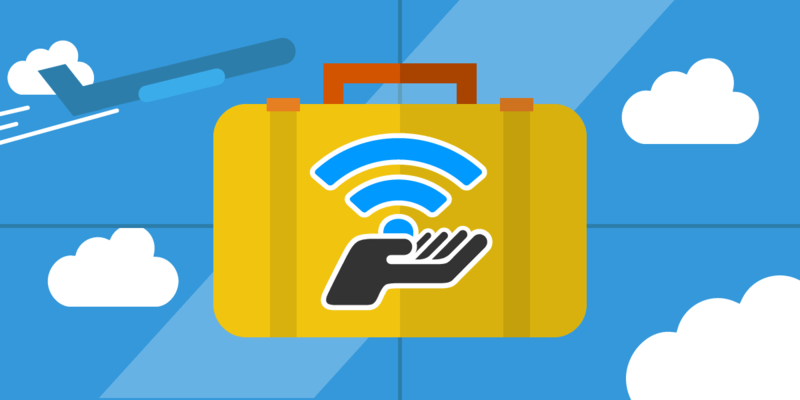 Travel routers – some of them can bridge existing wireless networks and create your own secure wifi network, but you’ll have to keep them plugged in in order to work. Laptops – the most convenient way to share an inflight wifi Internet connection! Connectify Hotspot is the most popular virtual router software app for Windows PCs that can turn your laptop into a Wi-Fi hotspot. It’s FREE to use if you’re only sharing a Wi-Fi network over Wi-Fi, but has a lot of other functionalities you may consider useful, such as sharing any type of connection over Wi-Fi, range extender, network bridge, etc. It’s also available in 10 languages! Step 1: Connect to the inflight wifi service on your Windows laptop. Purchase the desired plan and go online. Step 2: Download and install the latest version of Connectify Hotspot – FREE. Once installed, click the purple ‘Try It Out’ button to start using Connectify Hotspot. There’s no need to create an account and you can use it to share the inflight wifi Internet for free! Step 4: Make sure that the ‘Internet to Share’ dropdown is set to the particular inflight wireless network you want to broadcast using Connectify Hotspot. You can also select the ‘Automatic’ option in order to be sure that Connectify Hotspot will continue to share the connection your device will use should you be disconnected. We also strongly recommend to keep the ad blocking feature is enabled. This will insure a smoother Internet experience for your client devices, especially since you’re running on a tight bandwidth on the plane. Save 60% of bandwidth on average getting rid of ads and also increase your battery life. Step 5: You’re ready to go, just click ‘Start Hotspot’ to begin sharing your inflight wifi Internet connection. Now, you can connect your other devices to your Connectify Hotspot. What are you waiting for? 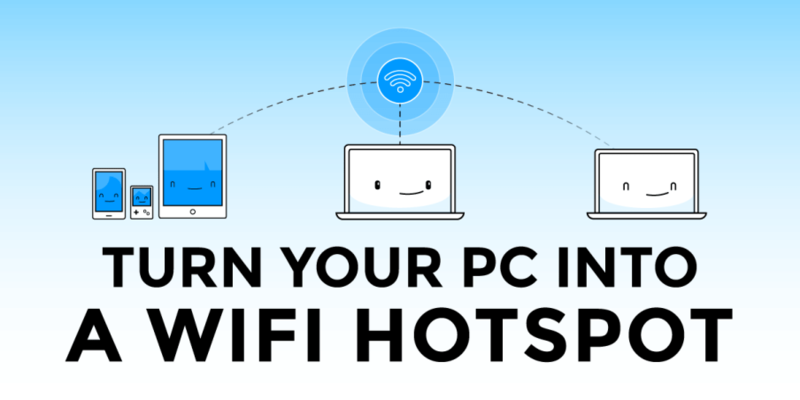 Get Connectify Hotspot for FREE now on your Windows laptop and enjoy free inflight wifi Internet on all your devices!